The liberal propaganda did it again and this time their brainwashing machine is in a full swing! NBA champions traditionally head to Washington to meet with the president after their victory, but key members of the Warriors have been vocally opposed to President Trump during the campaign and since his election. Instead of visiting the White House when they come to Washington this week to play the Wizards, the defending-champion Golden State Warriors plan to hold an event with D.C.-area kids. Their invitation was rescinded by president Donald Trump following a back-and-forth between the two sides last year. After the Warriors won the title, they openly questioned whether they should follow the tradition given many of the players and coaches disagree with his policies. Trump took the opportunity away before they came to a final decision. The Warriors are the first NBA team to make this choice since Trump was elected president. Last season, the Cleveland Cavaliers held their celebration with President Barack Obama in November. 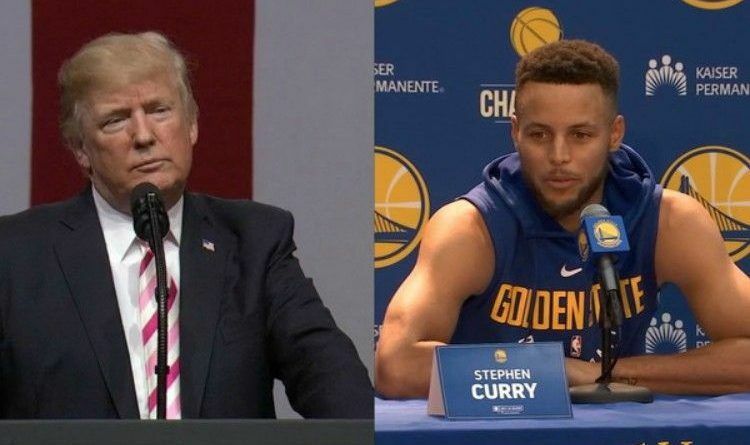 So basically Golden State Warriors shows total disrespect first on President Trump but second, they show disrespect to the people who voted for President Trump! When will they realize that so many Americans stand by President Trump and by making a stupid decision like this they only increase the wrath and the anger which would help Trump win again in 2020!